Raúl de Nieves in his Brooklyn studio. We visit the Mexico-born artist’s Brooklyn workspace as he gears up for a bedazzled fantasy at the Cleveland Museum of Art. 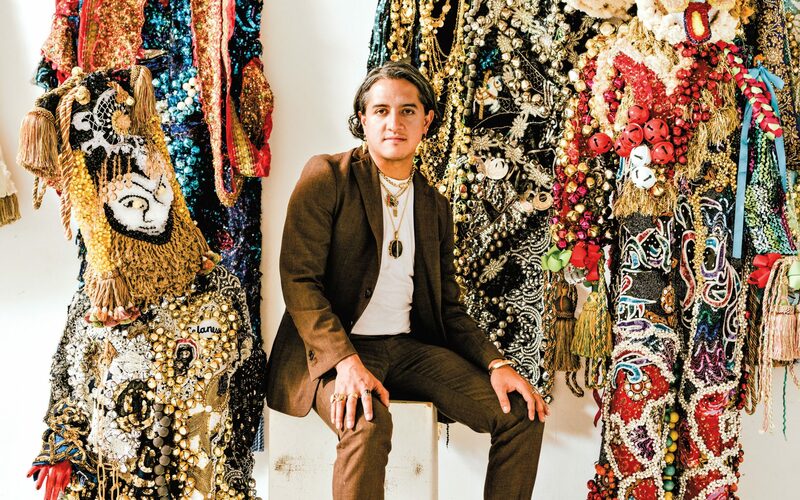 The Mexico-born New York artist Raúl de Nieves is known for his fantastical, anthropomorphic figures and bedazzled wall pieces composed of glittering beads, sequins, curtain tassels, and costume jewelry. Galerie recently visited the artist at his studio in Brooklyn, where he was preparing for his first museum solo show, at the Cleveland Museum of Art, on view through April 28. 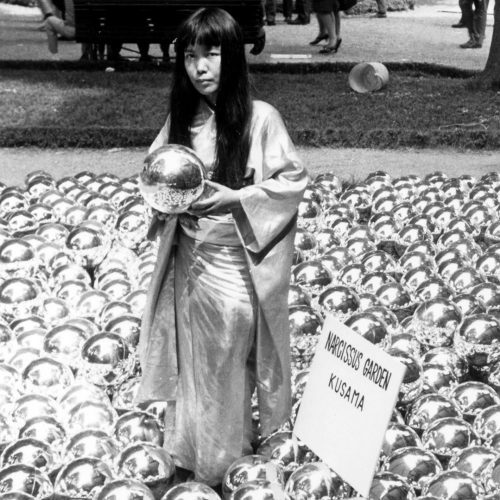 The centerpiece is Day(Ves) of Wonder (2007–14), a three-foot-tall, bead-encrusted dancing figure in platform boots that took him seven years to make. Ten new “characters” crafted from found vintage party dresses surround the figure in a dramatic, quasi-ritualistic display.